While GameStop brazenly believes it can weather competition in the used game business from bigger retail competition like Walmart, the company faces a more deadly foe in a future marketplace where most games are downloaded. Currently, there are no industry-supported methods for reselling digital games, but GameStop says it will have to happen — not just for its bottom line, but so that game publishers can continue charging top dollar. Your typical new video game title initially sells for around $60; more for editions with additional content and other premiums included. Many gamers justify this expense — many times the price of an average theater ticket, music album, e-book, or downloaded movie — with the knowledge that they can eventually bring back that game and recover some of the cost. 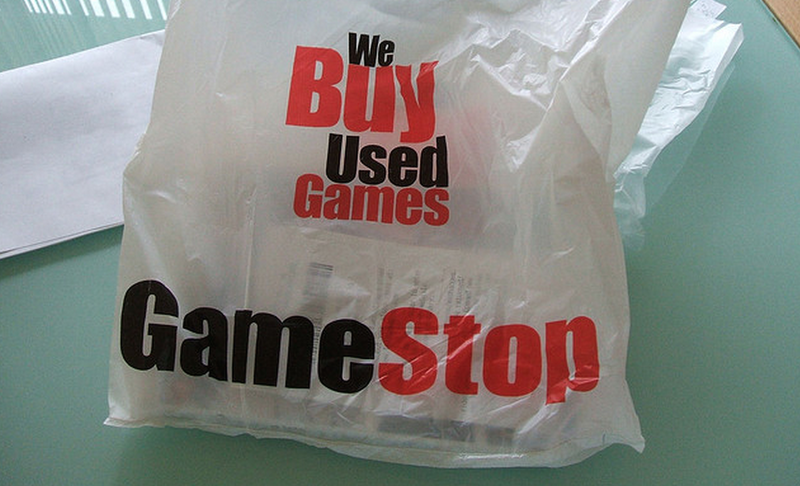 This is why there are more than 6,000 GameStop stores, where millions of regular customers flip used games into new ones over and over. But if you buy a game through Xbox Live or the PlayStation Store, you currently have no way to resell that game to someone else, even if you could somehow prove that you didn’t retain a copy of the files. Thus, that $60 you spend on a new title will be never be offset by money made from reselling it. So you either have to get used to always paying full price for titles or wait until a digital marketplace drops the price, which can be months after release. Execs at GameStop say the company has talked to game publishers and console makers about how to create a marketplace for used digital content that would pass muster, but it doesn’t look like you’ll be able to resell that file of Dragon Age: Inquisition you bought from the PlayStation Store any time in the immediate future; so you might as well start that replay, this time as a knight enchanter. In 2013, a federal court sided against one company, ReDigi, that was creating a marketplace for people to resell their mp3 music files. The company is currently appealing its case. The customer could later resell these items to others, at which point the files would be removed from the original customer’s data store. The Apple system is similar but also includes a way in which the original copyright holder for digital content could actually get a percentage of the resale price. That’s virtually unheard of in the world of physical resale, where consumers are generally free to sell anything they own for whatever price they want without having to pass on a buck to the copyright holder. One analyst recently wrote that the only likely way in which the gaming industry signs off on digital resales is if that marketplace is provided by the same online stores that sell you the digital download to begin with. “In the unlikely event that a digital buy-sell-trade marketplace is agreed upon, the publishers will likely opt for the PlayStation Store and the Xbox Games Store to cut out the retail margin that GameStop enjoys,” explained the analyst, according to BusinessWeek.